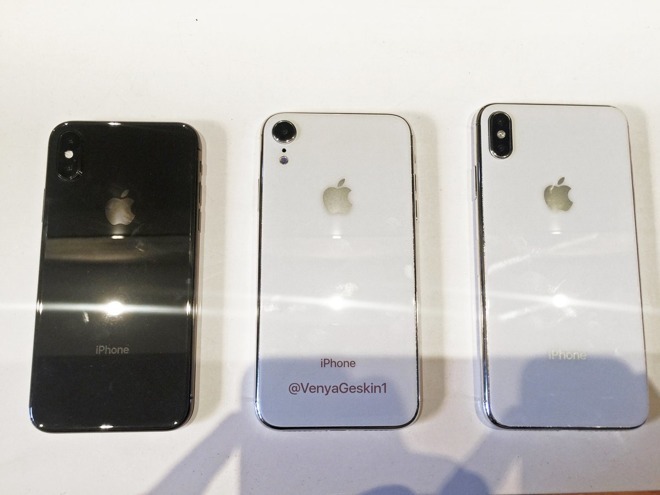 The release of three iPhones next month will feature "impressive upgrades in overall designs and functions," according to industry sources of DigiTimes. Along with including the 5.8-inch and 6.5-inch OLED models as premium options, the inclusion of a lower-specification and more wallet-friendly 6.1-inch LCD model should, according to the report, "give the new devices a shipment momentum much stronger than their two preceding generations." While TSMC and Foxconn stand to benefit considerably from the high shipments, most supply chain partners are thought to see an increase in revenues in the fourth quarter. Production of the devices is also expected to be "smooth" with relatively few manufacturing challenges to deal with, aside from volume. For TSMC, it is noted the company has acquired all 7-nanometer foundry orders for A12 chips, which has helped the company pick up its revenues since July. It is said that Apple's A12 order has helped offset the drop in orders for cryptocurrency mining ASICs, as well as to help maintain a higher single-digit growth of 2018 revenues. Earlier in August, TSMC revealed it had suffered a virus infection across some of its production lines, and has since recovered, though it is unclear if it has affected A-series chip production. TSMC is currently expected to continue being the supplier of A-series chips to Apple until at least 2020. TSMC also benefits from a decision by the California-based GlobalFoundries to halt development of its 7-nanometer fabrication technology, leaving TSMC and Samsung as the only major players in the space. While Foxconn reportedly shares assembly duty for the iPhones with Pegatron, Foxconn is said to have received the majority of orders for the two OLED models, and 30 percent of the LCD model order. Volume production of the new iPhone models is believed to have raised Foxconn's July revenues to a new high for the month, with its revenue growth momentum tipped to continue throughout the rest of the year. Sources also anticipate Foxconn's profitability will be "significantly better" in the second half of the year compared to the first half.